We often hear that Carreras' voice had been damaged by singing roles that were too heavy for him. Newcomers to opera sometimes ask "What does it mean for a role to be 'too heavy'?" Some operas like Mozart's have a very light orchestration. The singer doesn't have to work so hard to be heard over a very large and very loud orchestra. But Mozart singing is taxing in another way because the singers need to have very flexible voices that can move up and down over a very wide range of notes very quickly. That's why many singers tend to specialize in certain repertoires. Carreras doesn't sing Mozart roles and never did. On the other hand, many of Verdi's and Puccini's operas, and Bizet's Carmen have quite a 'dense' orchestration in places. The singer has to work very hard to maintain the notes, colour them, and still be heard over the orchestra and sometimes a large chorus as well. Something which Mozart and Rossini singers usually cannot do. Even for a single composer, there are differences. For example, while De Grieux in Puccini's Manon Lescaut is a relatively 'heavy' role, Rodolfo in La Boheme is less taxing and ideally requires a lyric tenor voice type - Carreras sang Rodolfo superbly. But by 'less taxing', I don't mean that any tenor can sing it well. The melting, youthful quality required by lyric tenor roles just isn't there in singers who specialize in heavier roles. Both Domingo and Carreras have acknowledged, with a certain amount of sadness, that once they moved into heavier roles, they would have to leave Rodolfo behind. Similarly, Verdi's Un Giorno di Regno is fine for a lyric tenor, but Don Carlos and Aida need at least a lirico-spinto voice, literally 'a pushed lyric'. Carreras' natural voice type is probably that of a lyric tenor, although he started singing lirico-spinto roles when he was in his thirties, a choice that has been heavily criticized by some. What powers and shapes the voice? Many people think that it is the throat muscles that matter in opera singing, but the really important ones are the muscles that control the diaphragm. This is what pushes the air from the lungs through the larynx. The diaphragm provides the air flow and (controlled) power and volume. That's why even slim opera singers have quite a pronounced ring of muscles around the lower part of their chests. The vocal cords 'sculpture' that stream of air into notes of different pitch (high or low). In order to do this the singer has to constantly vary their tension and shape. The pitch, resonance and 'colour' of the notes are also affected by the way singers configure their vocal tract - subtle changes that they continuously make to the shape of the throat, palate, tongue etc. That's why opera is so hard to understand at times - even when sung in a language the audience knows. In order to shape their vocal tract to hit the right note and provide resonance, the vowels may come out sounding very distorted. The term 'vocal cords' is actually misleading. They aren't cords at all but two small, fragile membranes. With age alone but even more so with over-use, they become less and less responsive. They lose their elasticity. Singers vary in how long their vocal cords will stay in ideal condition - just as some people need reading glasses or hearing aids long before others do. Gigli went on for a long time, Carreras for less. Caruso died at the age of 49. So we don't know what would have happened, although he did go through a period of serious vocal trouble in his early 40's. The responsiveness and health of a singer's vocal cords can be preserved - up to a point - by sticking to roles that that are ideally suited to the voice type. The late Alfredo Kraus made a decision very early in his career to stick to lyric tenor roles, and to a very restricted range of lyric tenor roles. I heard him sing when he was nearly 70 and he was amazing. But I wouldn't say that Kraus or Gigli were more 'gifted' than Carreras simply because they went on for longer. While it is true that the tenor voice is 'fabricated', especially the top three notes, that doesn't mean that this voice is or should be 'forced', although the vocal cords of a lighter voice will almost inevitably tend to get forced in shaping the notes at the volume required by a heavy role. You can hear pronounced differences not only in the ease with which tenors produce loud or high notes but also in the amount of resonance that the air rocketing around inside them creates. Because the singer's instrument is his body, and because each body is unique, each instrument will have its own unique sound. Two tenors may each be hitting the same notes with the same precision, but because of the way the air vibrates inside them, one voice is perceived as more beautiful than another. Tenors also differ in the parts of the tenor range that they do best. Carreras' strong point was always his middle and lower voice. Kraus and Pavarotti, on the other hand, had very 'easy' top notes, but their lower notes were not nearly as beautiful as Carreras'. Listen to the difference between Pavarotti and Carreras (in their primes) singing 'E lucevan le stelle'. Listen especially to the very last words of the aria "...mai piu la vita" When Carreras sings the lower notes in that aria, they are almost overwhelming in their beauty - at least for me. So, what does it mean for a singer to be 'gifted'? In the case of tenors, leaving musicianship, beauty of phrasing and acting ability aside, for some people 'gifted' means delivering high notes with ease. For others, it's the beautiful colour and resonance of the voice. I happen to give more weight to the latter. But it is purely a matter of what 'grabs you'. The thing is, when Carreras was young, he also had very thrilling high notes. They were thrilling because they were so 'scary'. A very young tenor once wrote to me about Carreras. He said that because Carreras (like the young tenor) didn't have an 'easy top' he approached the high notes any way he could and that's what made them sound so thrilling. "When he went up high, his voice often broke slightly. When he did it, it sounded beautiful and added to its unique quality. Could you imagine Pavarotti or Domingo with a such a break? It would sound preposterous." The young tenor was also sad: If only Carreras hadn't ruined his voice by singing the heavy roles that made his vocal cords harden and lose their elasticity. He noted, as have many others, that this problem had started even before his illness. I replied that Carreras was adventurous with his voice and that those of us who loved his early voice didn't own it. He owned it. It's very hard sometimes for us to remember this, especially in a singer whose voice 'speaks' so directly to us. 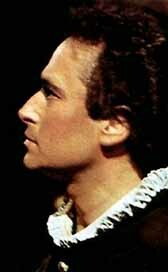 On reflection, the young tenor said, "I must say that the roles he undertook in the early 80s were good ones. They were not suited to him, but he sang them better than I have ever heard anyone sing them. The Don Carlos he did was probably the best live Don Carlos I have ever heard. And Aida, although it was different, was entrancingly beautiful." I could add to these, Carreras' outstanding performances in Andrea Chenier, La forza del destino and Carmen as well. All of these were 'heavy roles. People can sometimes get quite vitriolic on the subject of a singer 'who didn't take care of his voice'. It's as if they had some sort of claim on that voice. I understand that in some ways. When you hear something so profoundly beautiful, you want it to last forever. But it also misses the point, because no voice lasts forever, no matter how cautious a singer is. The human voice is as ephemeral as life itself. That is what makes it the most enthralling, yet most poignant of all musical instruments. Carreras made a choice. I honour that choice for what it has given us and also for what it has given him - the adventure and sheer ecstasy of singing those 'heavy roles'. "I would rather be ashes than dust! I would rather that my spark should burn out in a brilliant blaze than it should be stifled by dry rot. I would rather be a superb meteor, every atom of me in magnificent glow, than a sleepy permanent planet. The proper function of man is to live, not to exist. I shall not waste my days in trying to prolong them. I shall use my time."